My Dad called today. When I answered the phone he said to me “Who the hell makes homemade marshmallows?” He must have received my Christmas care package. I’ve always been a bit smitten with those spongy white puffs of sugar. As a child one of my favorite fieldtrips was to the local marshmallow factory…until it burned down during the historic combustion of Pepcon – a Rocket Fuel Plant in my home town of Henderson. I remember walking through a large hallway of the factory watching every step of the process and being so enamored by the large machinery and how quickly they pumped out millions of tiny marshmallows. The best part was the end of the tour when every child got a tiny bag of marshmallows. I dug into them the second I planted myself on the tattered brown bench in the back of the big yellow bus. In my excitement I devoured the first half of the bag before realizing that I needed to savor the final bits. So I sucked on each one until they melted in my mouth and covered every centimeter of my young teeth with sugar. 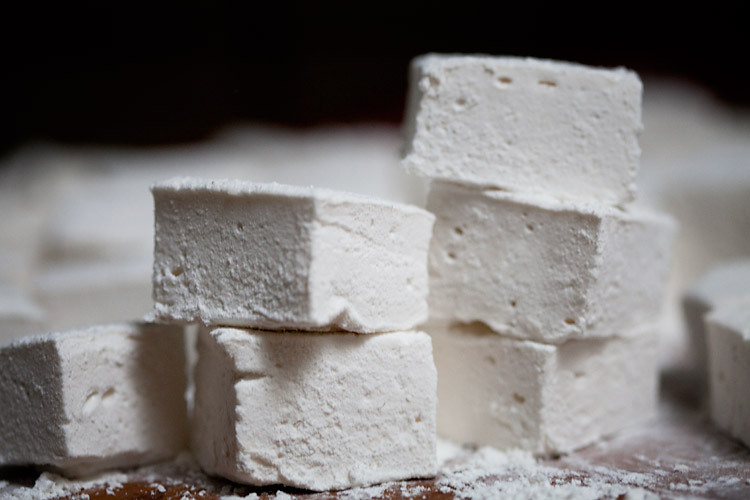 Fast forward 25 years and I still love marshmallows but I gave up on the packaged ones years ago when I discovered that you didn’t need a degree in molecular gastronomy to whip up a batch. And I figured it’s only fair that I share this special treat with you since it’s the holidays and all. The flavor is what will truly blow you away. They taste eons better than the packaged, stale, starchy, processed kind. They’re like light, fluffy pillows that practically demand a hot fire and a hanger converted to a marshmallow roasting device. I LOVE making marshmallows. They are simple and always make an impressive gift. Your friends and family will ohhh and ahhh over your masterpiece and they’ll think you slaved over the stove for hours and invested in some sort of crazy marshmallow making contraption from Williams & Sonoma but you and I will know the truth. 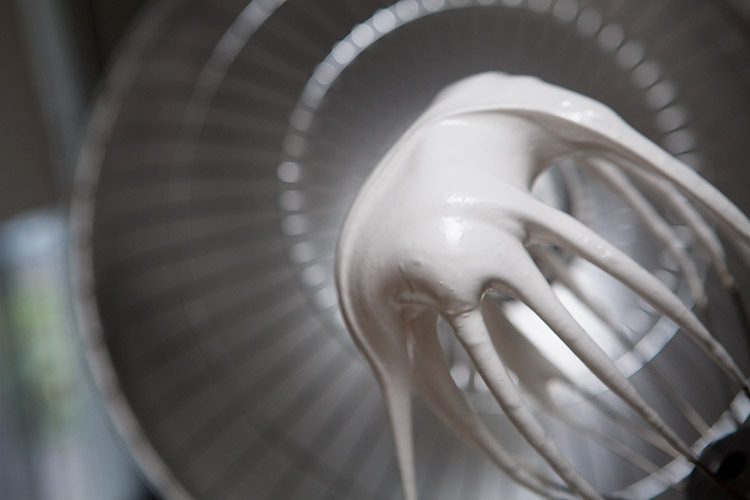 It took you more time to read this post than it will to make marshmallows. 2. Combine sugar, corn syrup and water in a sauce pan, bring to a boil and cook for 1 minute. Pour boiling syrup into gelatin, add salt and mix on high speed for 10 – 12 minutes. The mixture will turn white and get big and fluffy and look like marshmallow fluff. In the last minute add the vanilla. 3. Line a 9”x13” pan with plastic wrap and lightly oil the entire pan. This will keep the marshmallows from sticking. Pour the marshmallow mixture into the pan. It will be thick. Smooth out the top, rub a small amount of oil on the top and wrap with plastic wrap. Set aside for 3 hours. 4. Once the marshmallows have set, take them out of the pan and remove the plastic. 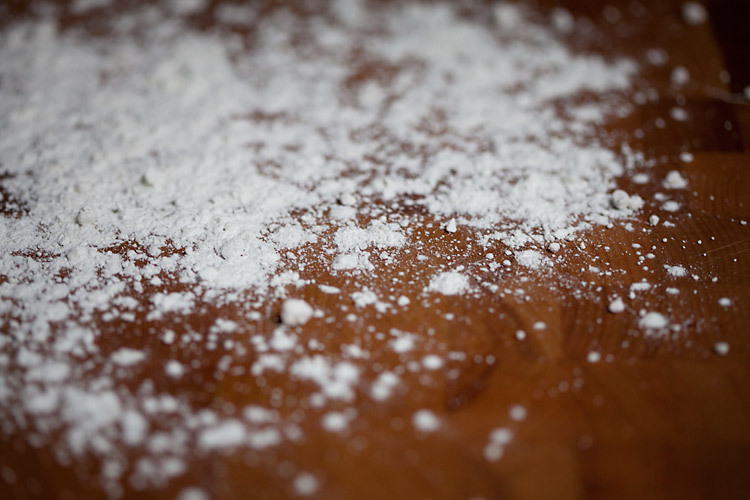 Using a flour sifter, sift powdered sugar on the top and bottom. With a sharp knife begin cutting 1×1 inch (or whatever size you want them to be) and roll all the open ends in powdered sugar. 5. Start a fire, grab a skewer and roast yourself a homemade marshmallow! I really dislike marshmallows, but these look amazing! I may just whip up a batch tonight 🙂 Merry Christmas! you and walte!! i’ll never understand BUT I will say that the homemade ones are way better and very different than store bought 🙂 merry christmas to you too! These are fantastic! I was wondering, can you make them in other flavors? Like I’ve seen (but have never purchased) chocolate ones? Would you add in maybe some cocoa powder in place of the vanilla? you had me at “who the hell makes homemade marshmallows?” haha! totally sounds like my dad. funny guy. thanks for stopping by my blog and sharing your thoughts. adorable blog! haha! You are so sweet! thank you 🙂 you can imagine that now that I’m all about health and nutrition there won’t be any more marshmallows! haha!